Lately it feels like there is so much to celebrate! I have so many friends getting married and having babies, and its also the end of another successful school year! The happiness is almost palpable! It inspired the beginning of a new series I'm calling The Celebration Series. 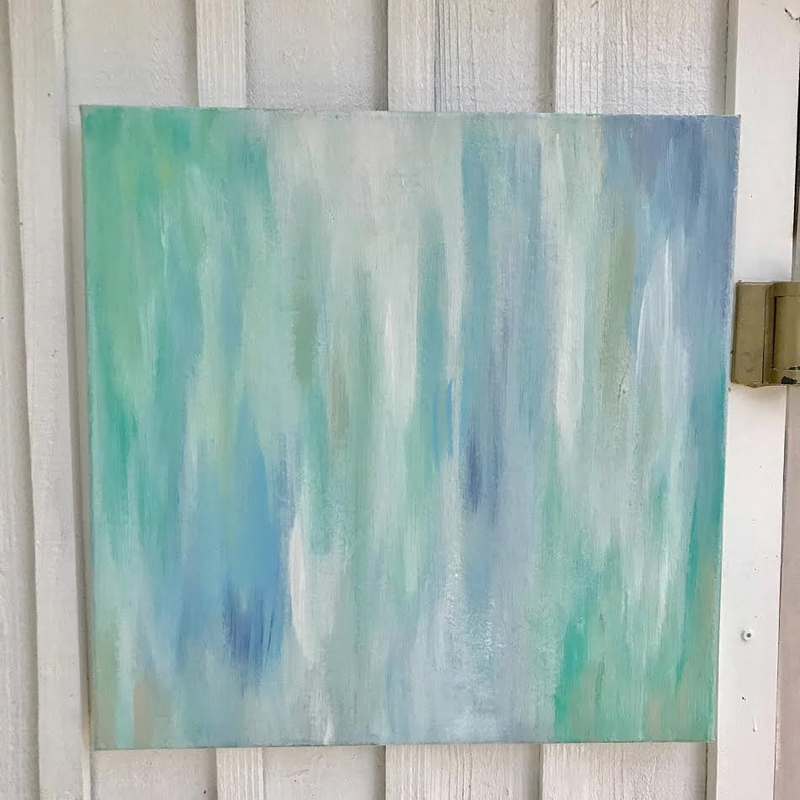 Inspired by all of the wonderful events going on in the lives of those I love, this series combines quick strokes and layers upon layers of vibrant color to reflect the excitement and changes that are taking place. This series I wanted to focus on a wider variety of sizes and composition. I've started the series with a few smaller pieces, perfect for completing a gallery wall or staging book shelves. I find that so often I'm drawn to a giant canvas, but these smaller pieces happen to be some of my favorites so far this year! The first portion of this series shares a similar palette with my last series, The Garden Series. It focuses on the lush earthy shades of green, blush, blue, cream, and gold. This palette seems to be my happy place lately, probably due to the copious amount of time I'm spending in the garden these days. I just cant seem to shake these colors! They're just so beautiful! Though similar in color, this series features a definite change in feeling from my last series. The quick strokes and texture add to the overall feeling of whimsy, excitement, and happiness! All pieces from the series are posted in the SHOP! Continue to check back as more pieces will be added regularly! Follow us on Instagram for daily updates and photos of new pieces as well! I hope you love the new series! !